Below are photos of our sires and a little about each one. We adore the boys. Even the whole boys ("whole" meaning not altered) are lovers. Several never made it to the show halls for one reason or another, but they're all lovers! Curl Essence Obsessed with Chocolate... or "Opie" for short. Opie is a chocolate smoke. We showed him a lot as a kitten mostly because of his unusual color. This is a color that is just not seen in the US in just about any breed. Chocolate is a dilute of the black gene. His dad is Po who is a black smoke. 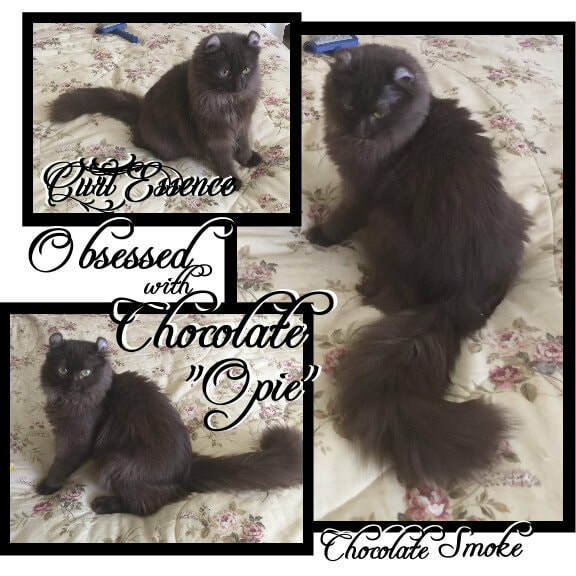 Opie is the first solid chocolate with smoke undercoat we've ever seen. Opie is also a smaller boy. 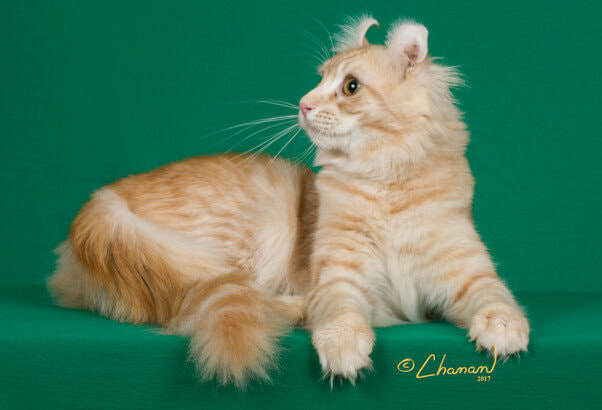 Plus, he has a fantastic coat and profile... all the things we're looking for in a good show/breed cat. We bred him to 4 girls early this year (2018) to see what we could expect from him. We didn't get the chocolate smoke like dad, but he showed that his genetics would produce consistently nice curled ears and sweet, sweet personalities. Timmy is a Grand Champion in CFA and a Quadruple Grand Champion in TICA.